Full disclosure (as always): I am a full time professional trainer (and shooter) and I make $$ teaching classes. I wanted you to read this blog without thinking it was self-serving. It is actually “you serving” if you listen to what I have to say, I will save you time and money. If in the end, you take a class from me, great. If you take one from another good instructor, that is great too! been full time for more than 12 years now. I break my courses down into a level-1 and 2 course for each subject, and the level-1 courses specifically focus on the material that will really make someone a better shooter. 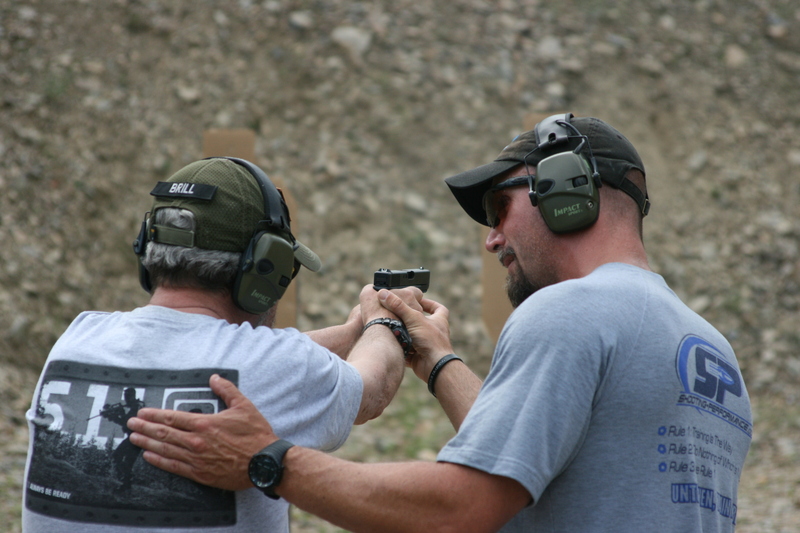 This means that a large part of the focus in a level-1 course is on teaching the proper way to manage the recoil (grip), sights, and trigger. After that, the course focuses on manipulations (draw, reload, etc.) and application of the shooting fundamentals at higher speeds. Level-2 course focus more on movements and advanced applications. The fundamental part of the process, however, is the key. Think about it this way, no matter what advanced technique you learn, shooting well will ONLY be accomplishable if the fundamentals are understood and trained properly. If they are trained and ingrained wrong, then the subconscious skill of shooting will be done wrong when the skill is needed! Obtain the gun, gear, and enough skill to load, unload, and fire your handgun or rifle slow fire with reasonable accuracy. This will ensure you have the pre-requisite skill to take most classes. Some instructors may require you spend some time one on one with them before their main class if you are very new to shooting. Set your shooting goals. This is a step that some people do not realize they need to do, yet the process is simple. Simply decided if your shooting goal is defensive in nature or competitive (to shoot in competitive matches). You see, while shooting technique is much the same in both arenas, the context and subtleties are not. Research and find an instructor that will be able to teach you what you want to learn. How do you know if you have found someone reputable? Try to do some research oh their background, look for certifications (firearms instructor), and most importantly, talk to some of their students. Most good instructors will have numerous students that will tell what they thought about the instruction. Try to speak to students that are not “in love” with instructor because he/she is their idol, but rather those that can tell you the specific things they learned, and what they liked about the instructors teaching style. Take a class! So you found an instructor that meets your needs, now is the time to take that class. This is the one point that you need to pay attention to. A good class from a good instructor will save you hundreds, if not thousands of dollars. How, simply by allowing you to take the correct path to learning the basics. Ammunition is VERY expensive, and hard to find. Don’t waste it training wrong. If you can’t afford a class, and after taking your first class I recommend supplementing with books, DVD’s, and any source of quality information you can find. 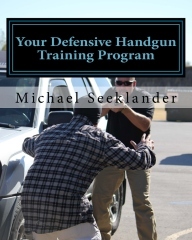 This book, YDHTP, provides a full training program. you should be doing things, and why. Check them out. There you have it, your simple steps to saving yourself a big headache and saving a bunch of money. Please, consider what I have said and think about finding a good training class sooner than later in your skill development. My last suggestion for you is to consider adding to that base, at a minimum yearly. So if you take a class from instructor X, strongly consider re-taking that course in the future (you will learn more…I promise) and THEN take his/her next level course. Try to take at least one private class yearly with a good instructor as well, as one on one is a big key to finding small things you might be doing wrong! As a part time, one on one instructor, I agree. Instruction is money well spent. It is hard to convince people of this in our current economic state, but the money they are spending on ammunition to go shoot without any sort of instruction, is money wasted. They are simply ingraining and training bad habits into muscle memory that when and if they do decide to seek training, has to be unlearned, and then they are trying to learn another set of skills while not sliding back to and relying on the bad skills they have taught themselves. Quality instruction does not have to be expensive. If you look around you can, and will find reasonable cost instruction. You have to think of it as an investment in yourself, and your new found hobby or serious defensive needs. You sir, are incredibly talented! You are MR. AR!